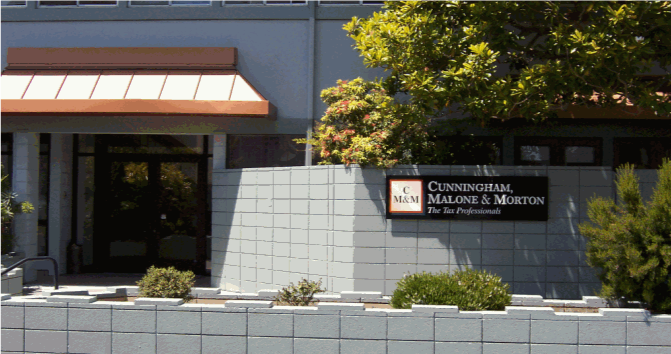 Cunningham, Malone & Morton provides a Free Tax Organizer to start you off right. Small Business Accounting As a small business owner you have more important things to do than to keep your own books. We take care of your books for you, so you can get back to the job of running your business and generating profits! Personal Financial Planning Building and preserving your personal wealth requires specialized attention. You get one-on-one guidance and a comprehensive financial plan that helps manage risk, improve performance, and ensure the growth and longevity of your wealth. Estate Planning Estate planning on your own can be complicated and costly. And the list is endless... state taxes, bureaucracy, probate courts, unfair appraisals, health care concerns, eligibility of heirs, life insurance, IRA's, 401K's, annuities, burial or cremation costs, and intent regarding death-postponing treatment to name a few. Elder Care As your cherished family member gets older, they may need some help with their day-to-day financial tasks. Ordinarily simple tasks such as balancing a checkbook and paying household bills become increasingly difficult for the elderly.